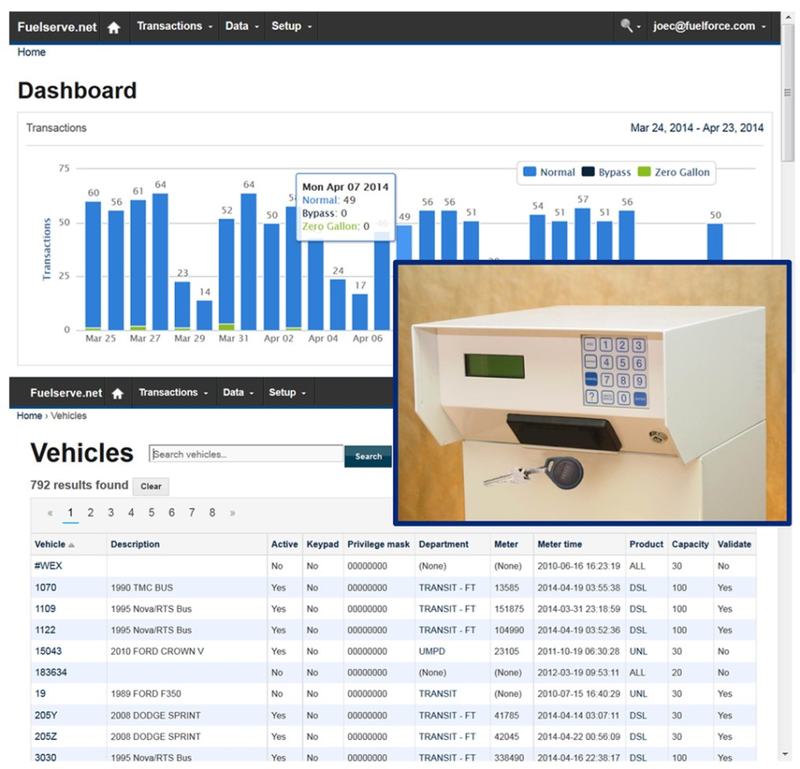 Any business or organization that has their own fuel tanks, fluid tanks, lube bays, car washes, gate openers, etc., where they want to authorize, track, and manage assets, personnel, and usage. Pros: The ability of using it our self and not having to contact someone. It cuts down on downtime. Cons: Some of the tabs are not user friendly. When you need to run a monthly report you go to fuel issues. When you I see fuel issue I think it should be a report on issues you have had not a monthly transaction report. Overall: Training was provided for us on the multiforce fuel service. Whenever I have questions our representative Jack Twichell promptly answers with help and he is very knowledgeable. He helps us troubleshoot and then corrects any errors we may have. Everyone I have ever dealt with at fuel force has been pleasure to deal with. When the E85 tank was being implemented multiforce was great in helping with preparation and making sure we had everything on our end prepared for the install. Everyone is very knowledgeable about the equipment and always helpful with a great attitude. When we need repairs or something goes wrong I can call up Jack and he can usually help me troubleshoot I know what the problem is before I have a repair man come out. When we are in a pinch and the keypad isn't working we were able to have the part delivered directly to us and my mechanics were able to install it. Excellent customer service. Would like the ability to do more with it. Comments: There are some features that we cannot seem to get availability too. I feel it is good software but cannot seem to get the ability to run MPG reports. 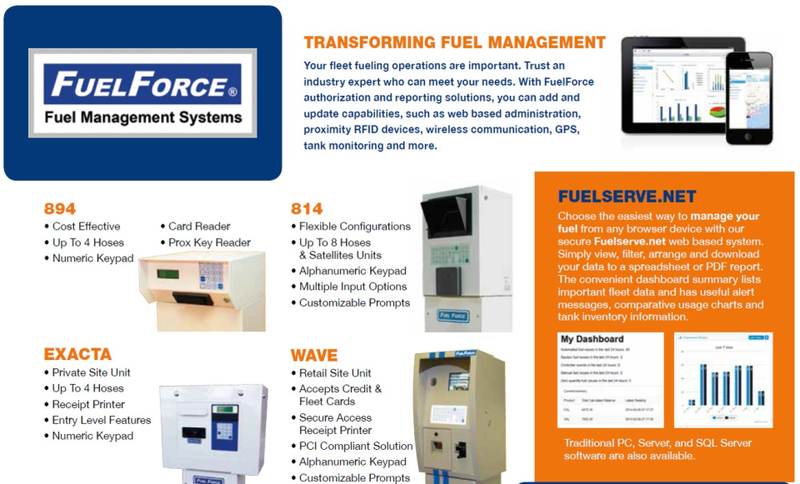 With your ten year old+ FuelForce hardware in the field, I'm pleased that the solution is still working for you. I followed up with our Customer Support team and they adjusted the User Permission configuration and they confirmed that you now have full access to the MPG reporting. If you ever find that you are not obtaining availability into any features, please reach out to me or the Customer Support department, and we will get the situation resolved. I would also welcome you to schedule a 30 minute, no cost training session, to allow our trainers to review some of the latest FuelServe features with you. Comments: Florida Atlantic University has been using FuelForce since July 1, 2014. 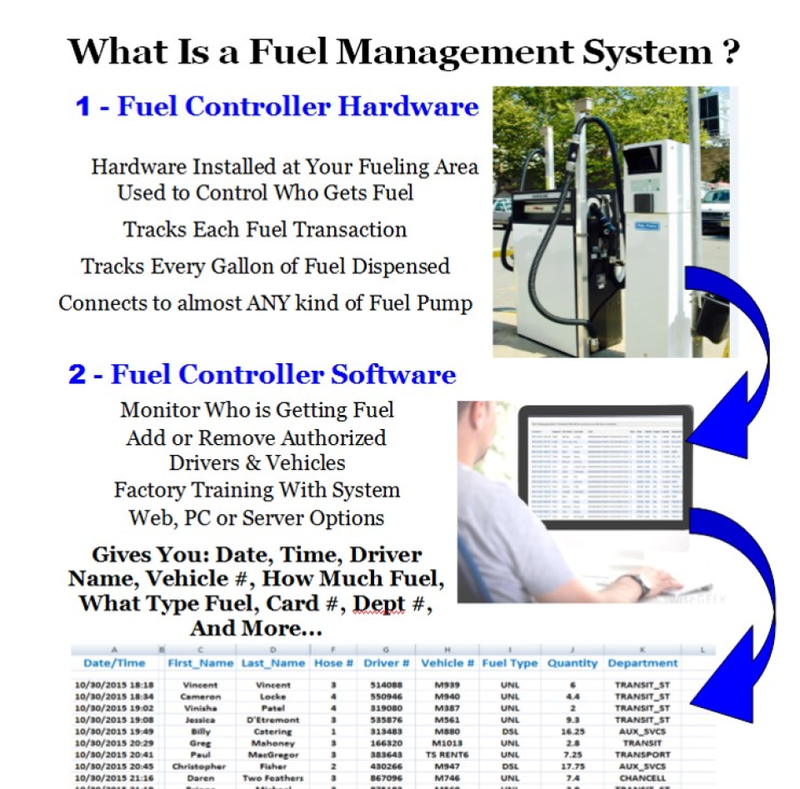 Overall the process of obtaining fuel at the University fuel pumps has been greatly simplified as we went from a person and a clipboard process to a complete 24 hour, 7 days a week process. Support has been very helpful and my hats to Damon Hahn, whom I have spoken with several times and he is the man that gets the job done. 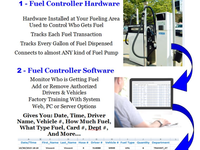 It is simple to download the fuel issues and process billing from the fuel issues. Overall: Pretty good system, we aquired due to postal service bailing out of it. At time this system was our only source of tracking and monitoring fueling. Training is available, if offered do take adavatage of the training as it would have helped us use the system to the full extent. Cons: The inability to take people out all at once. Overall: It is a very easy software to use. I can manage it from anywhere. If I have a question or concern about the software, customer support has always been very quick to get it answered, or send someone out to fix a problem. Overall: The system works very well. We use it on a daily basis. We operate a fleet of 175 plus trucks. 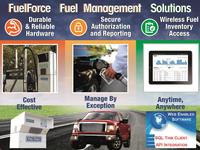 This system works for all fuel recording for CNG and Diesel fuel sales. This has allowed us to streamline systems to make us more efficient. Overall: We have never been so happy with a product like this. We love the fact that we can get up to date information. Giving us a perfect chance to get the most accurate budgets possible. Overall: I was having problems with the system reading the cards, with one call my rep helped me diagnose the problem and within 3 days I had received a replacement part that fixed the problem. POSITIVE ATTITUDES AND GREAT CUSTOMER SERVICE. Comments: Every time we have had an issue with the system, the customer service was great at getting us to the right people to take care of the issue or issues. We are very happy with our system and service. Comments: The site is very user-friendly and the support service is great. I use the site almost every day to run reports. Overall: We have a large fleet with many technicians and it is an easy process for all to use. The reporting in quick and clean. Cons: Connectivity issues, although uncommon. Overall: From beginning to end the process of implementing Fuel Force at our location was excellent. 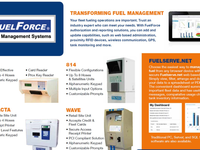 The Fuel Force website is very user-friendly and simple, and the employees are knowledgeable and able to assist. 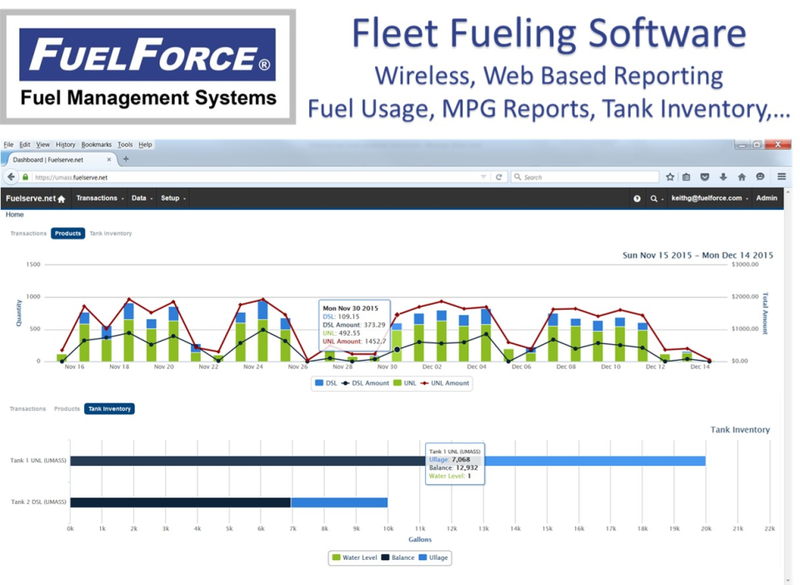 Overall: FuelForce has allowed us to track, monitor and allocate expenses for our fuel distribution with more reliability and accuracy that ever before. Not to mention we are a heck of a lot faster doing it. Being able to assign employees to departments, limit their fuel usage by job type and then quickly sort and expense the fuel has been a true game changer. 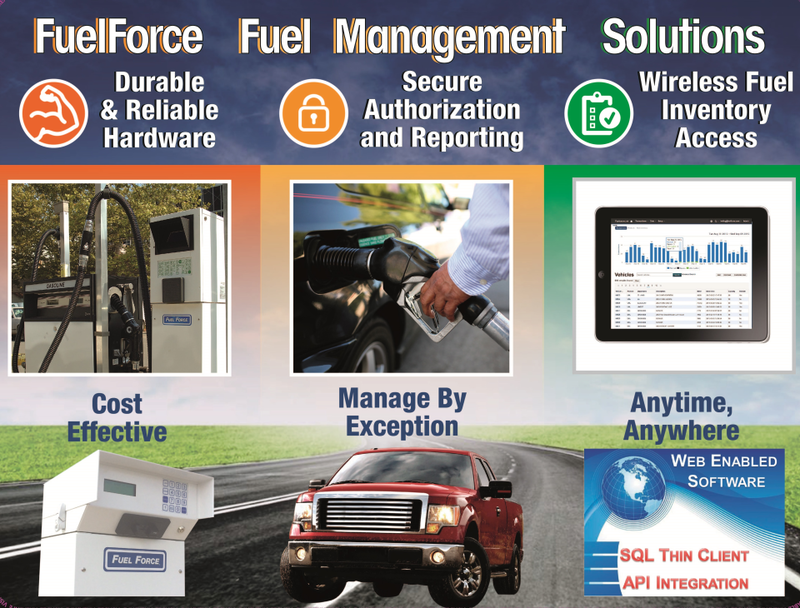 Everything we did before FuelForce was guesswork and assumption. That is a thing of the past. Pros: Keep a track of everything so I don't have to. Overall: The program works exactly as expected. There are rarely any issues with it. I would recommend for any one in the market. The software updates and support is a little pricey. Cons: readings are in gross gallons instead of net gallons. It would stand to reason that as most companies bill on the net for gallons, that the system provide gallons in net for the readings. Overall: Our drivers tell us that this is the easiest system they have ever used. 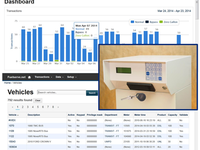 Here in the office, the system provided utmost accuracy and ease of use for billing and tracking purposes. Great system and great value for the money! Overall: Have been working with the system for 6 months now and haven't had any issues. It separates 3 companies bill with numerous trucks from each company getting fuel. All fuel issues have been correct. 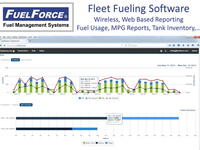 The software had been helpful as well, being able to add trucks and drivers when we need to and running fuel mileage reports as well. Recommendations to other buyers: Very useful for many different purposes! Cons: There is nothing I want to list here it is a good program. Overall: The ease of use for FuelForce makes it a breeze to tabulate fuel usage at our school bus location. I definitely recommend to anyone who needs to manage fuel usage. Overall: I have one location that has polling issues. We have had the line checked and quality verified but issues have continued. I stopped receiving data download e-mails a few months ago for no explained reason. Customer service did tell me how to easily find my downloads on the site so that has not been an issue. Overall: Call support is great. I still don't get an email confirmation when requesting a report. Call backs from customer service are timely and answered my questions. Recommendations to other buyers: Creating specialty reports. Cons: however, I think the value could be better. Overall: I've had a small FuelForce system for 4 or 5 years now. The Web interface has improved and is much more robust. The hardware is rock solid, never any issues. Overall it's been a good system. Recommendations to other buyers: Some more features from the web interface would be nice, Automatic reporting, real-time trending. Comments: We have had the product for a year, it is great until you have to deal with support. It takes a business day to respond, then you answer the question, then another day to respond. Simple troubleshooting took 4 business day, in an occasion a part was required, it took 3 weeks. Overall: I use this system monthly to pull reports for our company's tax reporting. I have had very few issues and any issues that I have had were dealt with immediately. Didn't like how it assigned fuel usage. Overall: The system was all right, but it was kind of hard to figure out. I wanted to have fuel tied to the pin# instead of the vehicle, but I never able to. Comments: Using this site is a great thing for me in my line of work. It really helps when I need to see what tractors got fuel at home! Comments: Overall the system seems to work very well but sometimes I have to reboot the outside controller to download info. Comments: Very easy to use and helps me with my monthly projects! Customer service is good, quick, and responsive as well. Pros: Very easy and detailed. Overall: We had an old system before with absolutely no support...this is absolutely wonderful. I can handle all transactions from my desk and do not have to run out to the pumps every time something goes wrong. Couldn't ask for a better system. Comments: It is a great improvement over what we had. However, the report writer needs a little work. I would like to be able to see the results immediately vs. waiting or fetching a report.